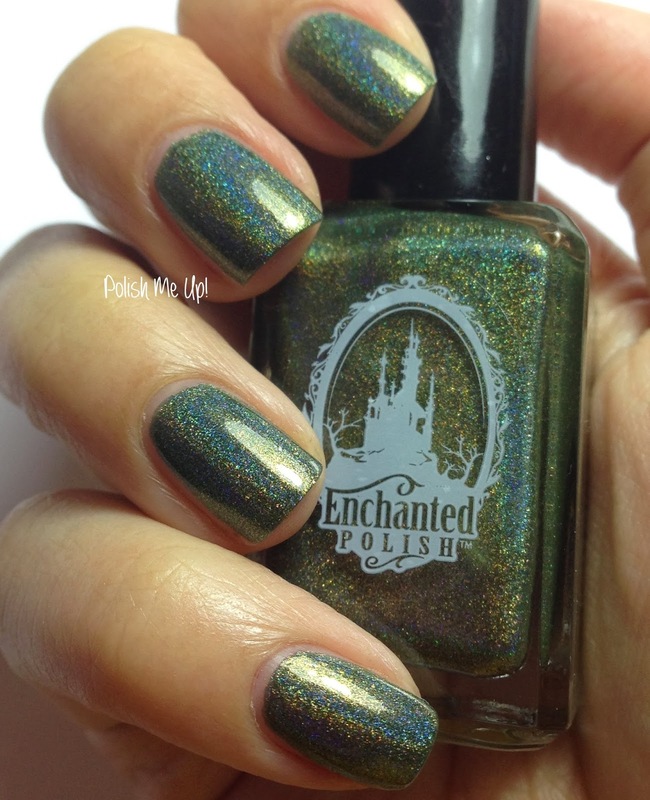 Enchanted Polish All Love Garden is an exclusive shade only available on Mei Mei's Signature. All Love Garden is a dark olive green holo. This is two coats topped with HK Girl topcoat. I would LOVE to either swap you or buy this from you! Please let me know!